Juniper Networks, an industry leader in automated, scalable and secure networks, has collaborated with Sony Professional Solutions Europe to deliver its switching technology to support Sony’s IP Live production solution. This enables broadcasters to capture and distribute live coverage of major sporting, cultural and political events globally. By leveraging Internet Protocol (IP) networks, IP Live is designed to solve the challenge of transporting massive volumes of rich-content data in real-time between outside broadcast locations and production studios in a cost-effective and reliable manner. Juniper’s open, interoperable technology aligns with Sony’s requirement to tailor open solutions to the exact needs of each customer. Traditionally, to achieve the required reliability and low latency necessary for production-quality broadcasts, broadcasters have relied on serial digital interface (SDI) and coaxial cabling technology to transport live content from outside broadcasts to production studios. However, faster frame rates, dynamic ranges and higher resolutions of today’s rich content often make the cost of conventional cabling and hardware prohibitively expensive and cumbersome for many broadcasters. Sony is delivering a simple, smart and open architecture for building an automated and high-availability network compatible with Juniper’s technology. IP Live supports the transportation of quality high-definition (HD) and 4K (ultra HD) video, audio, synchronization signals and control-data across an IP network through a single network cable. Sony and Juniper also have a unique partnership to provide IP Live production and training courses for the broadcast industry. The collaborative courses show participants how to build a viable IP network, control and manage settings for optimum performance throughout the network, and mitigate errors. The training is composed of eight hours of online courses and four days of face-to-face, in-depth training with hands-on sessions. Sony collaborates with its partners to apply open standards efficiently for live production over IP and offers new and affordable ways of capturing and routing content. Sony has selected Juniper as an IP networking partner, using Juniper Networks QFX5100 switches, a highly flexible switching platform with open architectures that serve as a universal building block for automated, programmable fabric architectures. 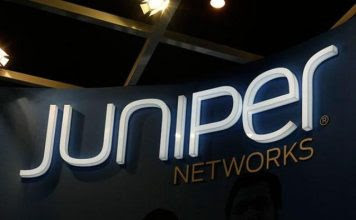 Juniper’s Ethernet switches provide a high-performance network solution built on an open framework to give the maximum level of network programmability and automation. This framework allows Sony to provide consistency and simplicity to its operations, and to scale and adopt new applications and technologies to keep pace with innovation in the broadcast space. Sony needed to build an agile and automated network to minimize the downtime between live programs and pre-produced content. With Juniper’s network solution, Sony’s IP Live production system can easily adapt to changing program requirements by reconfiguring the line-up of production devices automatically. A network of production devices that is managed by the “Live System Manager” solution, which creates a software-defined network, forms the IP Live production system. This solution delivers great modularity and stability where resources can either be combined or split, depending on the requirements.